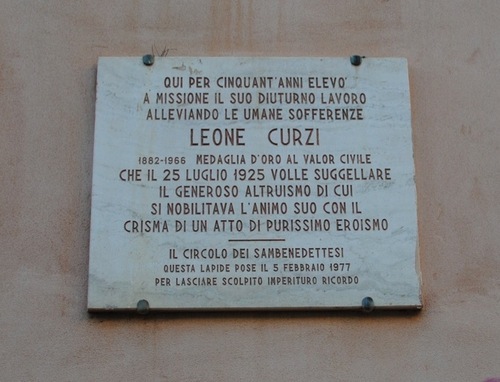 This memorial tablet of Leone Curzi was placed on the facade of the old 'Madonna del Soccorso' hospital in San Benedetto del Tronto to celebrate his contributions to medical humanities as a male nurse for about 50 years. On 25th of July in 1925 he was protagonist of the tragedy happened in Torino Street. He rescued to take out from a well four workers, who were stunned by methane exhalations. 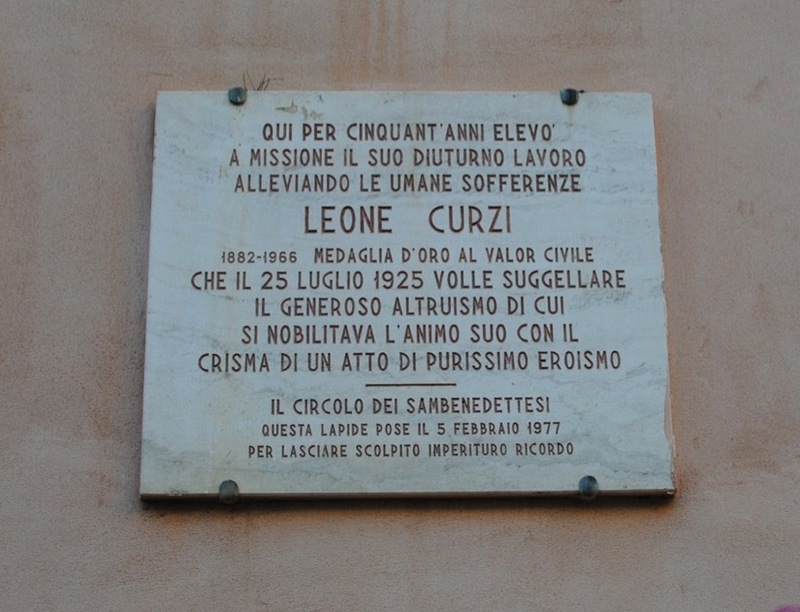 Leone Curzi went down several times and, although he was already cyanotic for asphyxia, he managed to take out all of them. Unfortunately, none of them survived, but Leone Curzi, for his courage and generous altruism, took the gold medal for civil valour.